When most mothers become pregnant for the first time, they are overwhelmed with a curiosity of what gender their baby will be. When most mothers become pregnant for the first time, they are overwhelmed with a curiosity of what gender their baby will be. They know the chance of having twins is there, but it is never really something they really take into consideration. That’s why it is always a surprise to have such news. 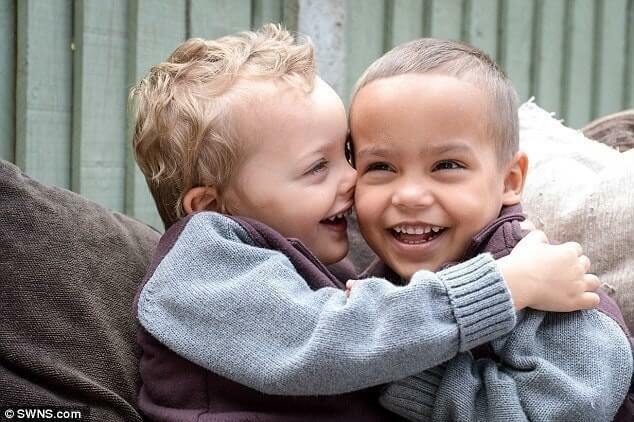 However, can you imagine the shock of discovering your twin babies have different skin color? 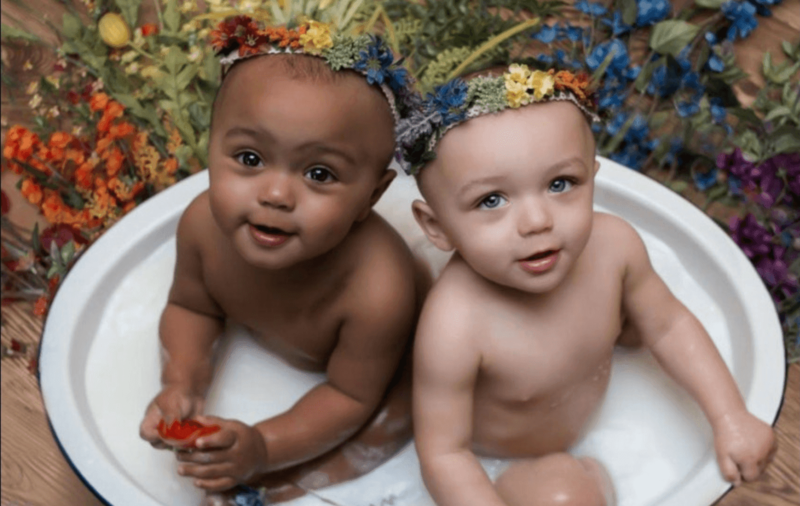 When biracial couples have fraternal twins, there's a possibility that the babies will come out with several physical differences. 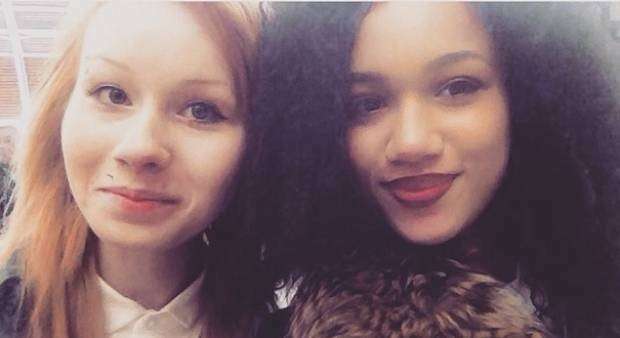 The chances of the twins that look like extreme opposites are slim but still exist. 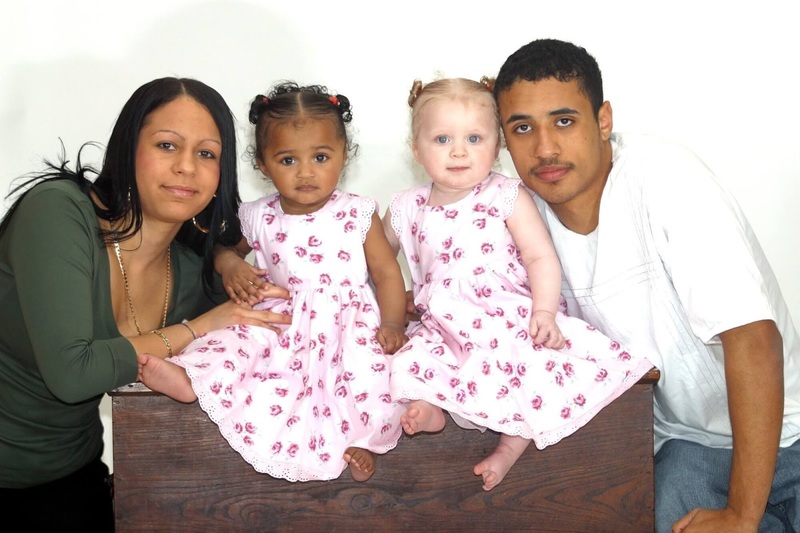 Children who are conceived by an interracial couple are incredibly unique. They are born from a variety of genes and ethnic backgrounds which ultimately give them unique physical characteristics. 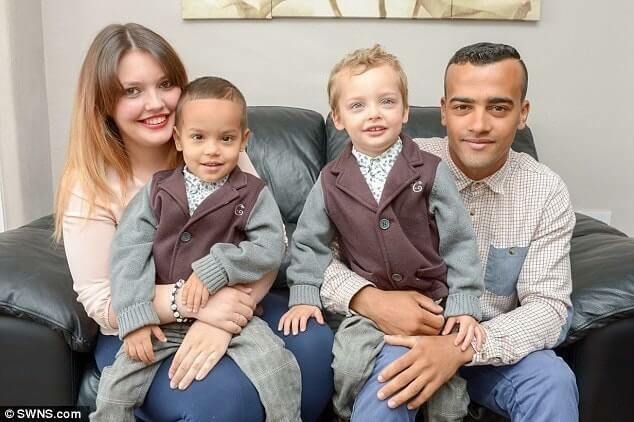 Biracial twins take it to another level, as when a mixed couple is expecting twins, all bets are off the table. 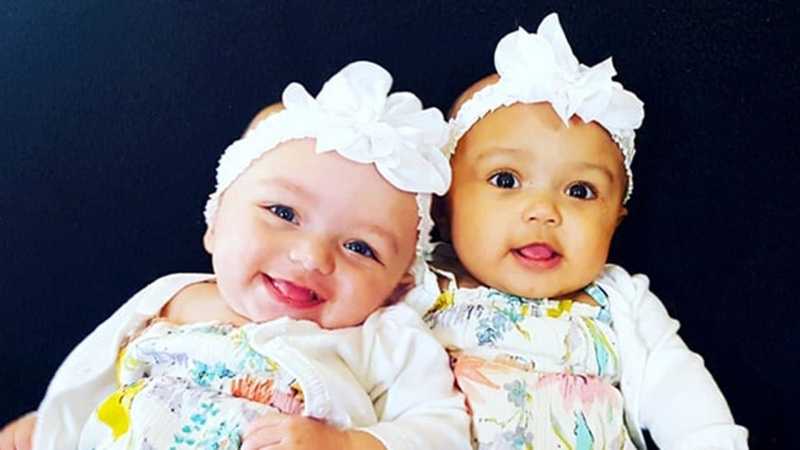 Although it does not happen all the time, it's possible for the twins to come out in two completely different skin tones. Donna and Vince Aylmer were ready to welcome only a fourth child into their family when they discovered that they would be welcoming a fifth child as well. Little did they know, Donna’s pregnancy had one more exciting surprise up its sleeve. 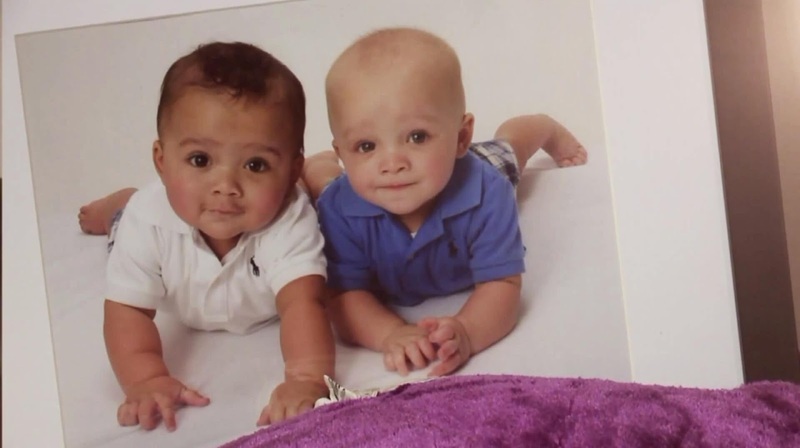 Both parents were astonished to see two babies with complete opposite skin tones and hair color. 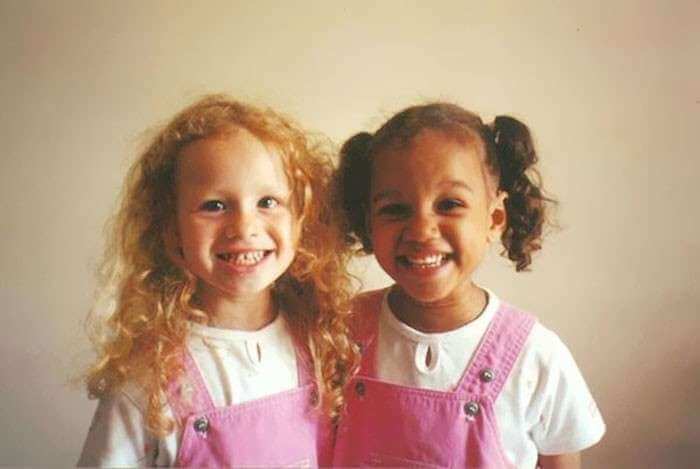 The beautiful twins, Lucy and Maria Aylmer, were born in Gloucester in England, on 16 January 1997. 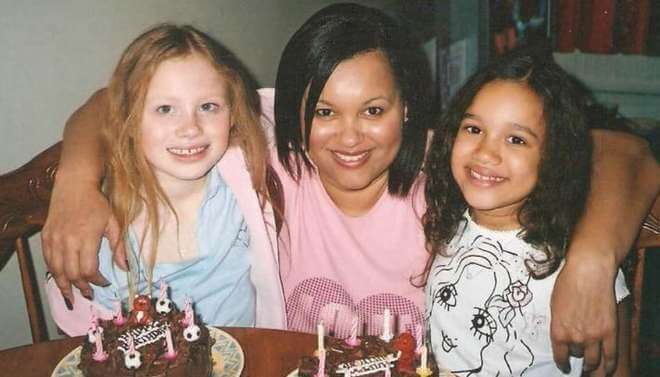 While the girls were growing up, their parents decided to get a divorce and since then, they have been co-parenting to their best abilities. 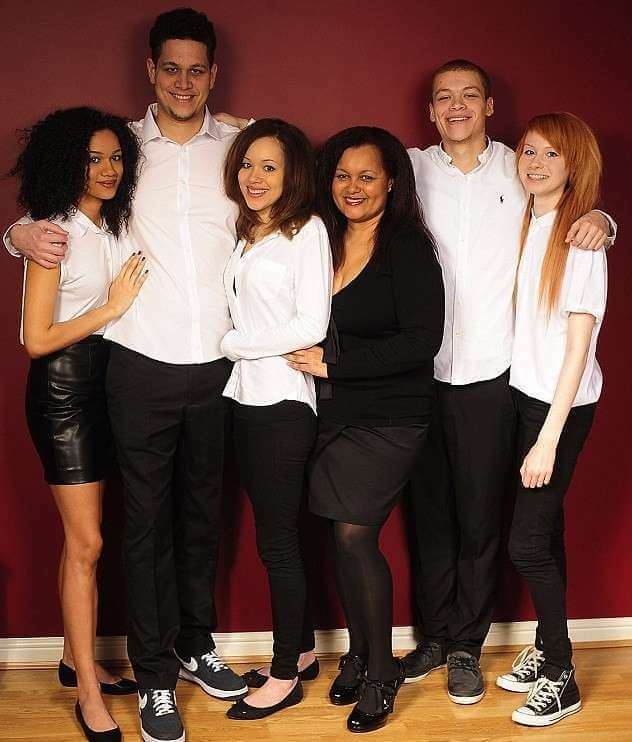 Their father, Vince, is full caucasian and their mother, Donna, is half Jamaican. 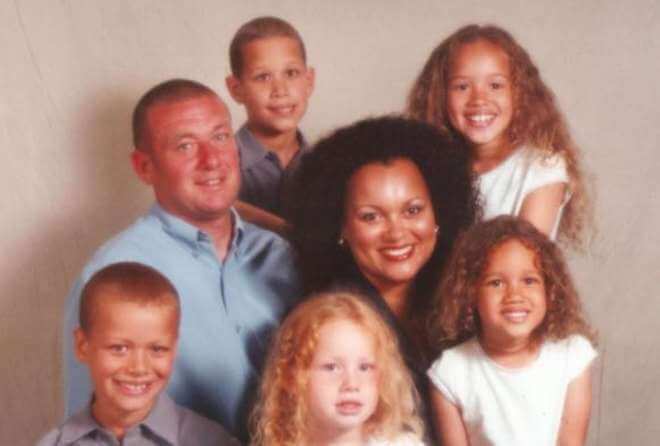 With backgrounds like that, the parents were probably anticipating two mixed tone babies, but they instead had two babies with entirely different complexions. 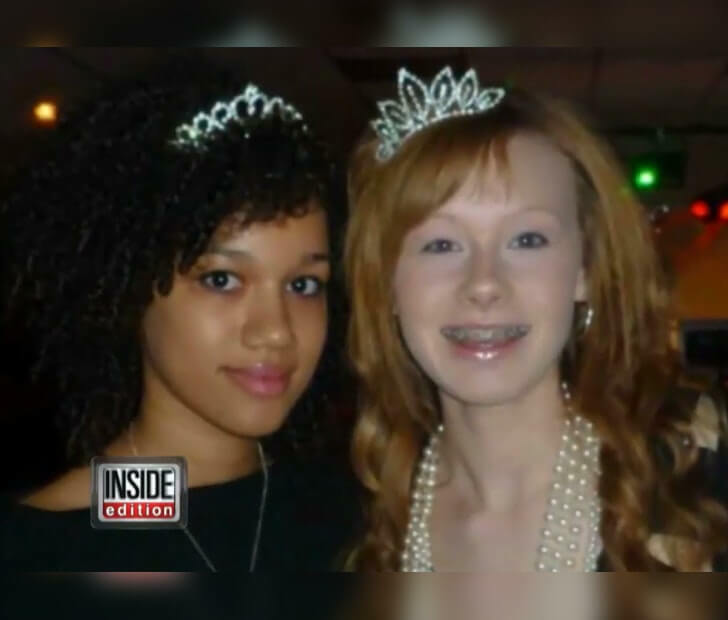 They did not look like twins. Lucy and Maria aren't identical twins. Therefore, each twin inherited different genes from the parents. Although the twins did not look anything alike, Donna liked to dress the girls in adorable matching outfits. The twins also have three older siblings: two brothers, George and Jordan, and a sister, Chynna, who are a light-brown complexion. In comparison to them, Maria’s skin is very dark, and Lucy’s skin is very pale. Maria’s eyes are dark brown while Lucy’s are blue-green. 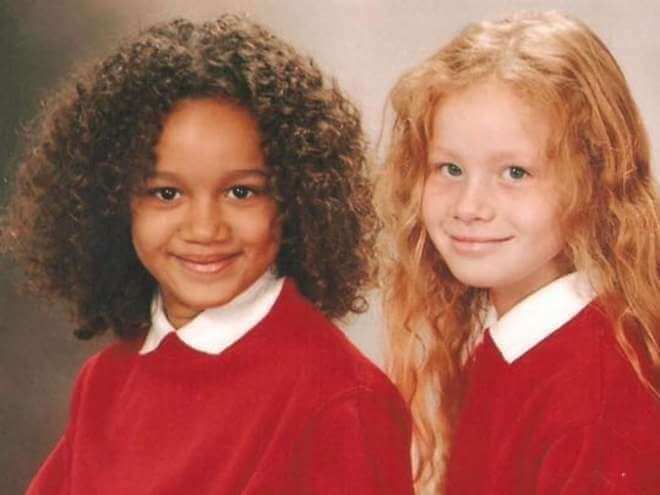 Lucy got her beautiful red hair from her Irish descent, while Maria got her gorgeous thick tight curls from her Jamaican descent. Maria admitted that she didn't like her hair earlier, which often made her cry. On the other hand, Lucy hated how fair-skinned she was. Lucy was even bullied in middle school at some point, being called adopted and a ghost. 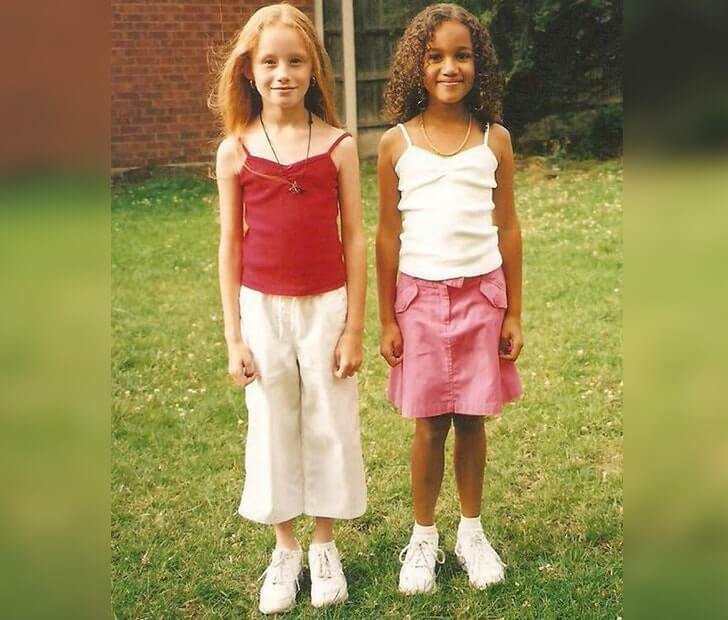 Despite their mom’s innocent intentions, the twins asked her to stop dressing them in the same outfits at the age of seven. 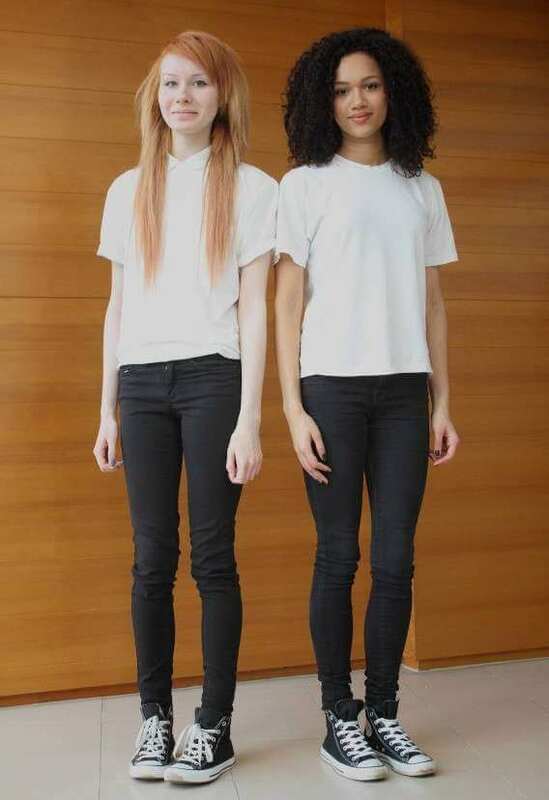 They knew that they were unique twins who did not look alike and even admitted they did not feel like twins while they were young. 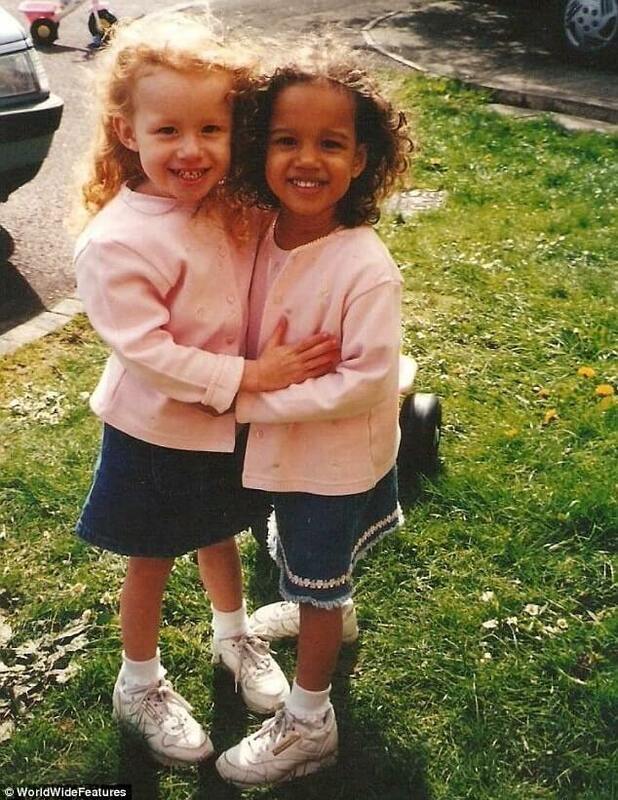 Today the twins have grown into two gorgeous 18-year-old girls. 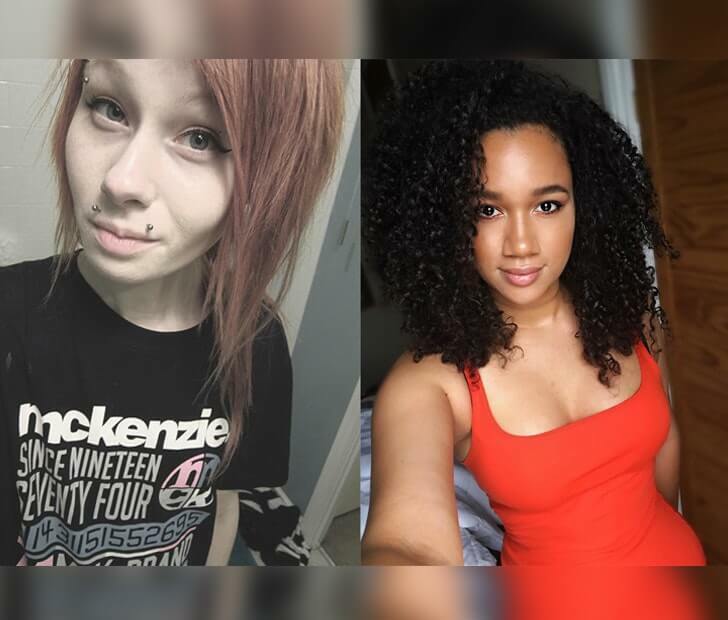 Each has embraced their personal styles that contribute to their unique physical features. 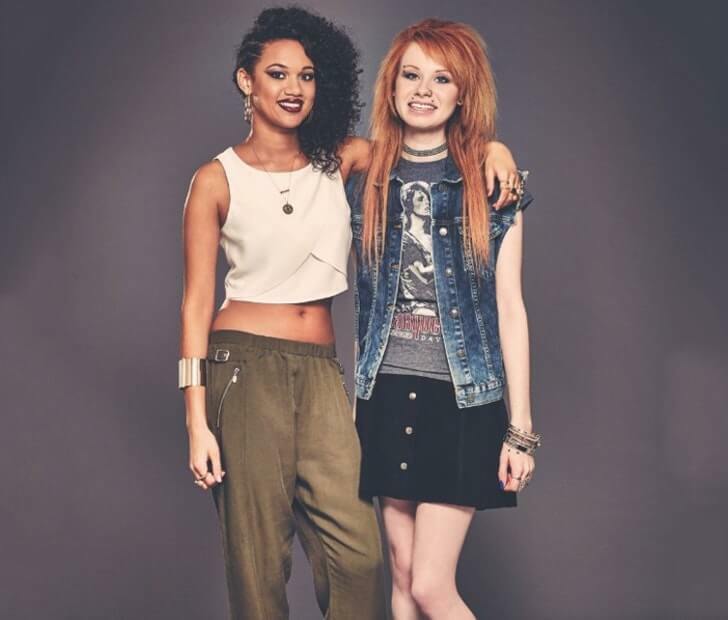 Lucy has a rock style, wears darker colors and has some facial piercings. Maria, on the hand, has a boho style. Also, Maria is way more outgoing than Lucy, who is an introvert. 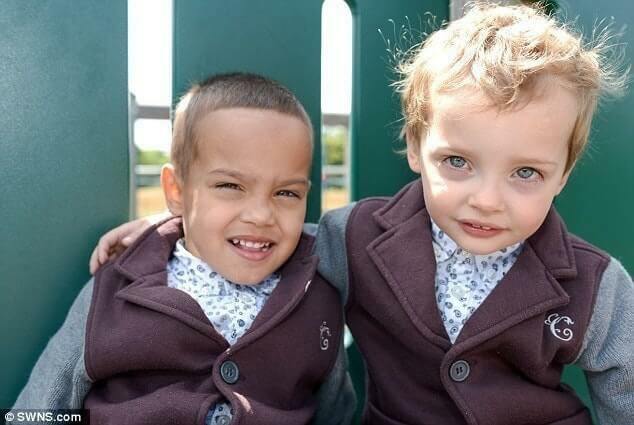 Another case of twins with different colors is Bobby and Riley. 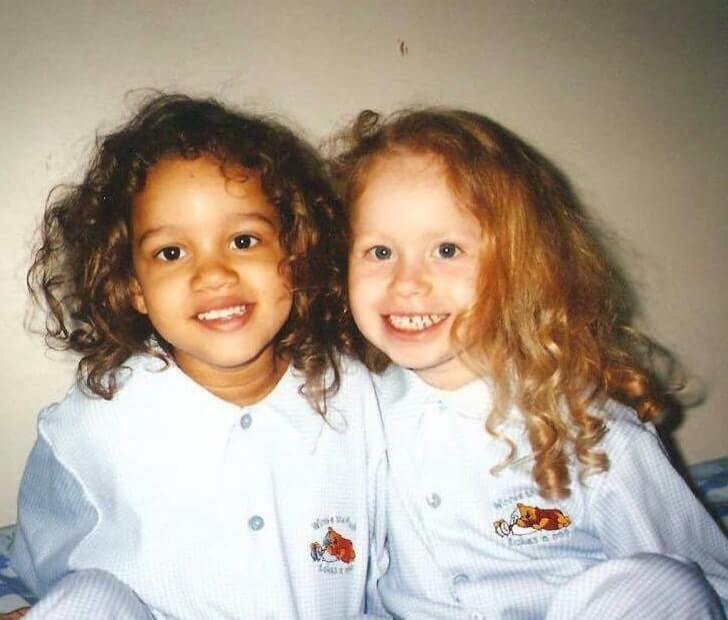 Unlike Maria and Lucy, they came out of the womb looking identical with light skin, brown eyes, and curly hair. It was not until four years later that they began to look very different from one another. Looking at their pictures, they certainly don’t look like twins. Bobby’s eyes eventually became blue while Riley’s skin became darker and similar to his father’s. 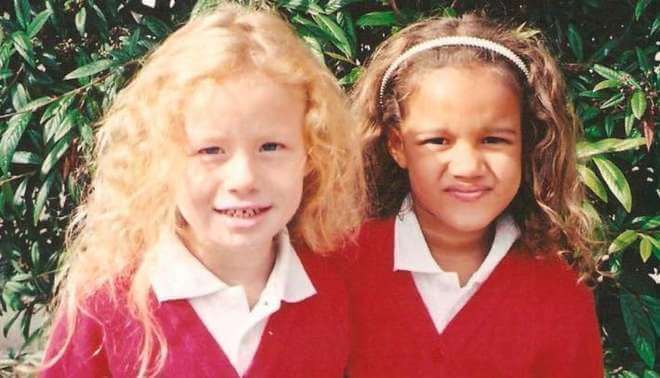 The twin boys were born in Feltham, West London, to a Caucasian mother, Abigail Tongue, and a mixed-race father, Richard George. 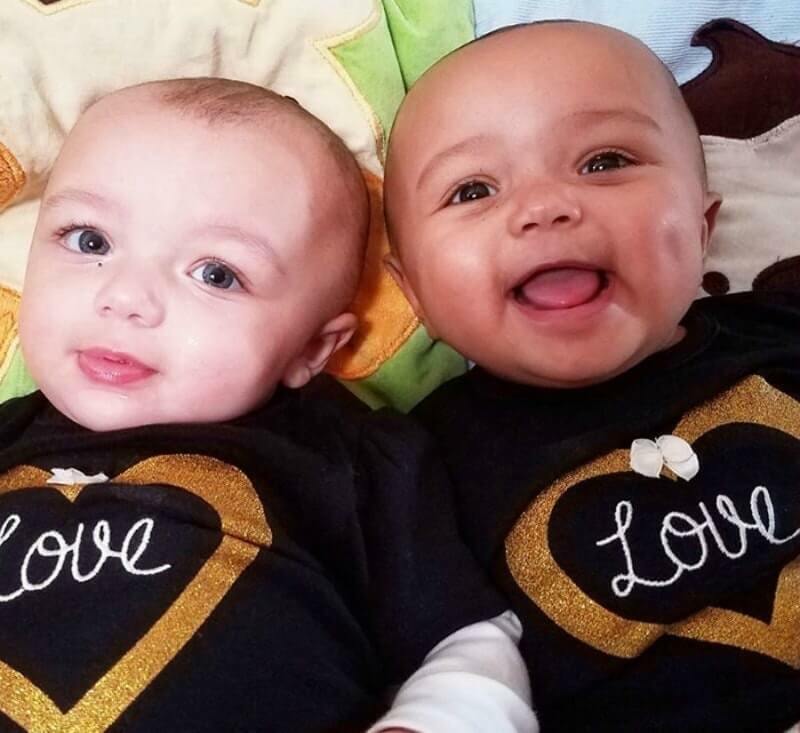 When expectant parents, Daunte and Jessica Norman, first discovered they were having fraternal twins, they joked about one coming out darker toned than the other due to their mixed races. Little did they know, their joke was about to become reality once the babies were born. “We ain’t gonna have no problem telling these babies apart. We knew exactly who from who from the get go,” joked Daunte to Fox News. 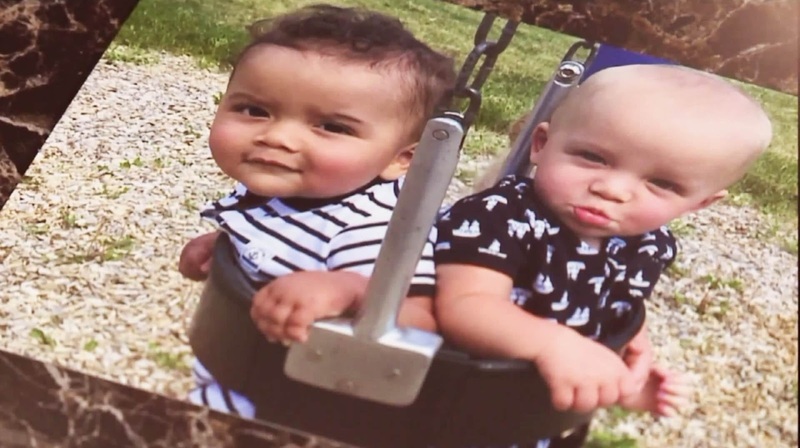 Just like the other twins discussed before, Brayden and Cameron, also received a lot of attention in public, some good and some not so positive. “They get attention everywhere they go,” Jessica told Fox News. Nonetheless, the Normans decided to use the situation in their advantage to educate others. 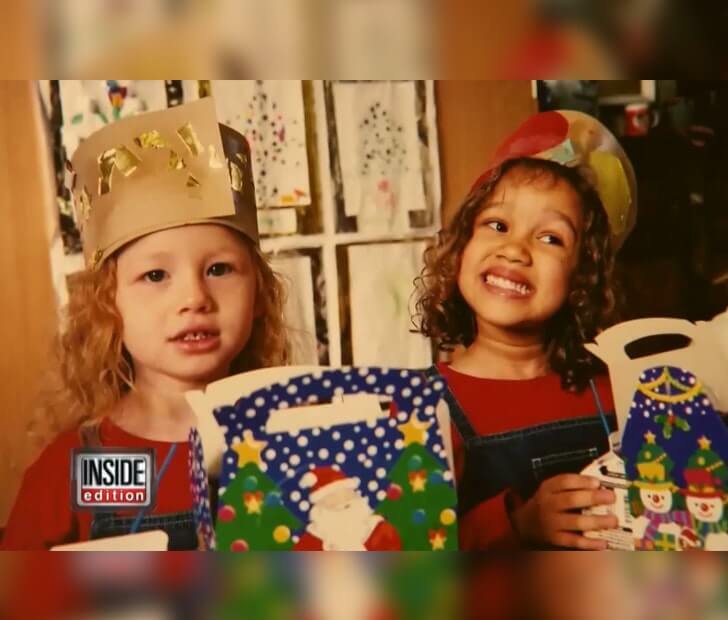 Jessica has already explained herself countless times to others, assuring that the two are twins even though they do not look anything alike. In addition, the couple has spoken out in attempt to give other parents in similar situations words of encouragement. Parents should be proud to have such special kids so that the kids can one day become proud of it themselves! “Be proud of it. Don’t be afraid of it. Embrace it, so your children do,” said Jessica in an interview with Fox News.